Mods: Changed the pullover hoodie to a zipper cardigan, changed the hood shaping and added colourwork. 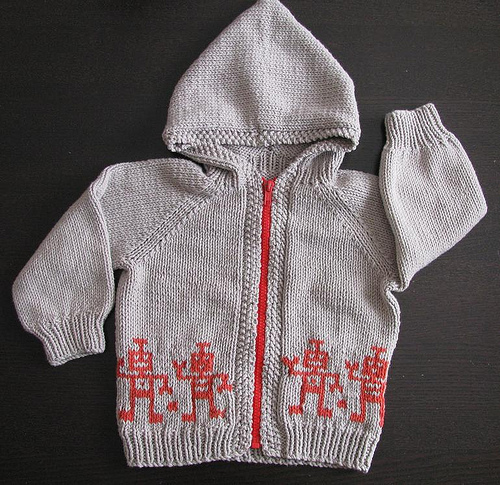 What Makes This Awesome: I'm pretty sure the robots say it all- this sweater is awesome! I love how she altered this great little hoodie with the contrasting colour zipper and the great colourwork. It just makes this sweater that much more fun and interesting. 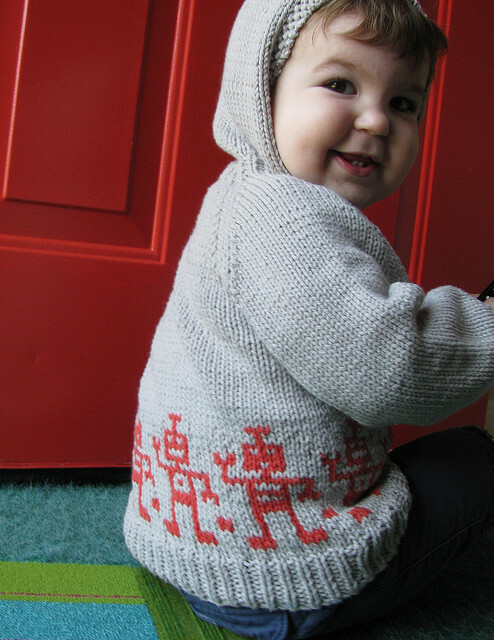 Little boy knits can be so much fun, and think this sweater shows that perfectly. Project page with details can be found here. What a great modification! Blanchois made the hoodie a real interesting and funny cloth! Awesome mod! How awesome this would be for my boss's son-to-be. I've got to look in my stash! Cute! Robots make everything better. excellent! matching zipper and cc... attention to the little things can totally make a knit! I'm kind of speechless at the moment seeing this amazing mod. Love it! Awww...love the model and the sweater. Gorgeous! My baby MUST have one of these! Thank you for sharing! 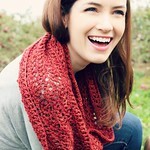 Also, I can't wait to see what you decide to make with your Scottish wool! Ooh bookmarking this, so cute! Love this series.